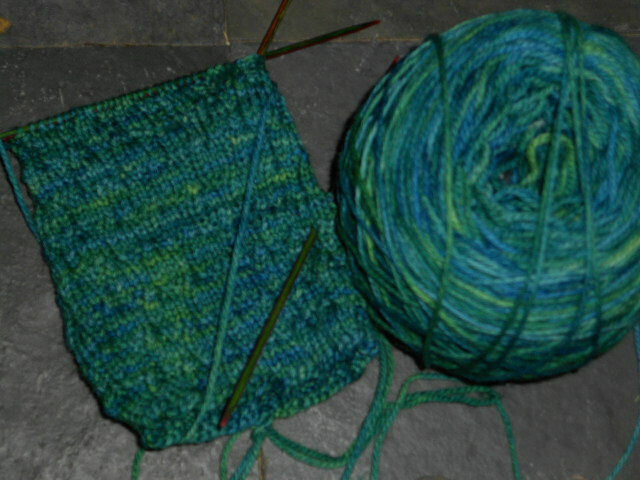 The Candlepower socks are coming along nicely even if they are difficult to get a good photograph of. 😉 I may be able to get this one finished off tonight. The pair I’ve been working on during the bus ride, another from the Tesserae pattern, I have the heel flap nearly finished on the first sock. 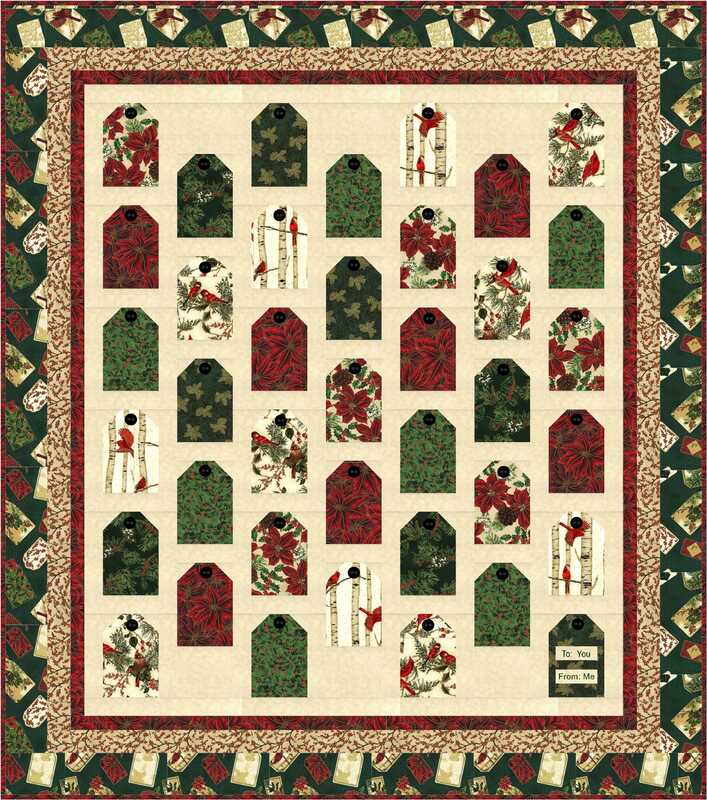 And I couldn’t resist getting a new pattern today, Leaves by Phyll Lagerman – a Socktoberfest 2012 design. Similar yet different from the Candlepower pattern and since I love Candlepower I think Leaves will be great fun to make too. 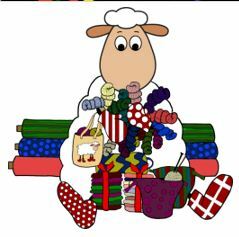 go to patchworktimes.com to see what others have for the What’s on the Needles report. Pair 9 Done and yarn claimed! Last night I finished pair of socks number NINE!!! 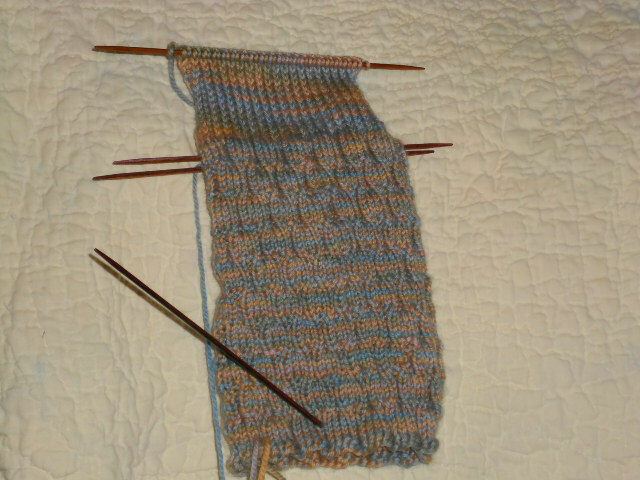 The Simple Skyp socks in String Theory Caper Sock. And of course the next pair is already on the needles. 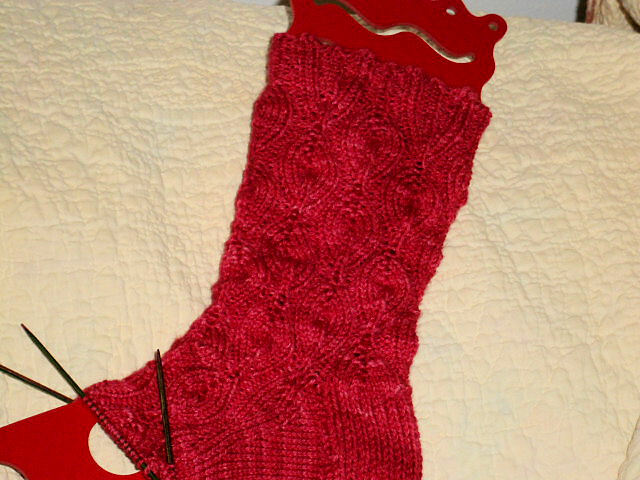 You can see the finished pair added to the 12 in 2012 photo gallery and I’ve updated the yards knit so far this year. This is the new pair I started –Malabrigo sock yarn in the color Solis — it is so pretty. And its the Tesserae sock pattern — I think this is my third pair from that pattern and it’s possibly my most favorite simple sock pattern because it’s super easy and it has such great texture (which doesn’t necessarily show up in my photos). 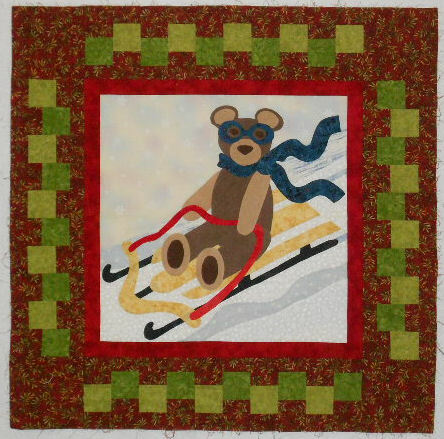 This will be my “ride the bus and knit sock” and once I gather all the knitting stuff from the various closets it got put in when the painters were here and get it reorganized, I need to pull one of the socks out of the single sock bin so I can finish the mate to it. Most of those have more complex patterns that can’t be memorized (at least not by me) so that will be the one I work on at home. Reading a pattern on a bouncing bus is not very easy to do!